The ecological crisis issued from the human activity ant its risk push us to find solutions that go through the understanding of the laws of nature and its principles, the stop of the ongoing degradation and the iniciation mechanisms of restoration. As a society , we are experiencing a period of uncertainty, in which we perceive that the solutions could come from finding a balance within our environment based on the sustainable management of our ecosystems, the restoration of their functionality and services, and the use of nature-based construction systems such as soil- and water- bioengineering techniques. Soil and Water Bioengineering: is a discipline than combines technology with biology , making use of native plants and plant communities as construction material and erosion control in degraded environments. 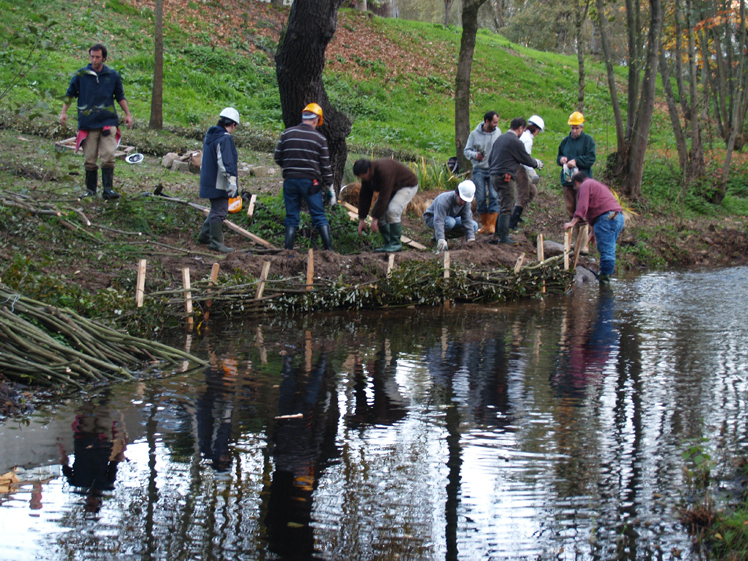 The term “Engineering” refers to the use of technical and scientific data for constructive, stabilization and erosion control purposes and “bio” because the functions are related to living organisms, mainly native plants with biotechnical characteristics and with the purpose of restore ecosystems and increasing the biodiversity. 1-Nature-based approaches can offer sustainable solutions to cope with climate change mitigation and adaptation challenges Soil and Water Bioengineering are Natural Based Solutions that prove to be effective not only in normal but also in extreme situations There is growing recognition that nature can help provide viable solutions that use and deploy the properties of natural ecosystems and the services that they provide in a smart, ‘engineered’ way. The Soil and Water Bioengineering use the propriety of the root system to cohere and stabilized the soil in order to use the plants as building and living material . 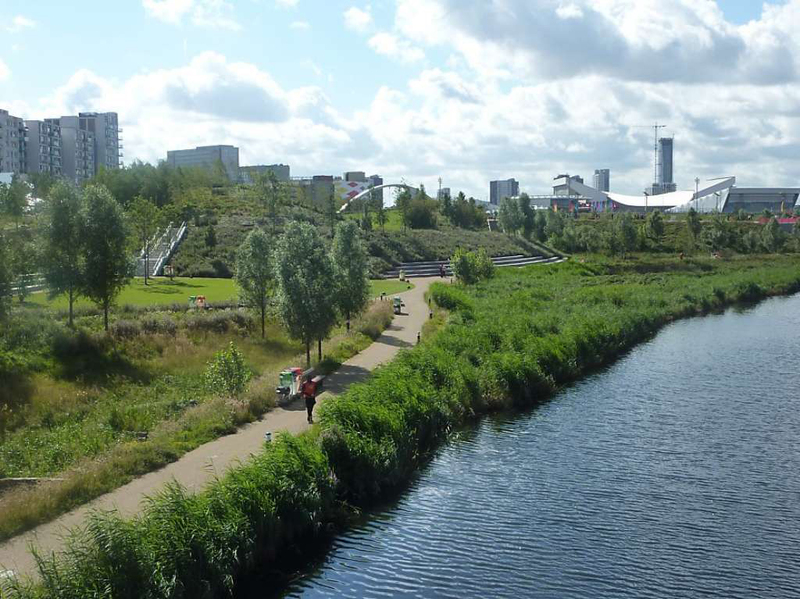 These nature-based solutions provide sustainable, cost-effective, multi-purpose and flexible alternatives for various objectives: Technical, ecological, landscape integration and socio-economics. It can be summarized that initiation of vegetation is a capable way of providing various ecosystem services such as erosion protection, aesthetic value, habitat provision and balanced local climate without neglecting water management issues. Soil and Water Bioengineering interventions using combined methods even with an important inert component give a clear contribution to Biodiversity and show a carbon sequestration rates similar to natural standars. Ecological engineering is a discipline that integrating the ecology and the engineering concerned with the management of ecosystems with a common goal to maximize the multitude of benefits to both man and the natural environment., Within this context, Soil and Water bioengineering is a specific discipline related to the Ecoengineering, combines techniques that use plants as living building materials, for: (i) natural hazard control (e.g., soil erosion, torrential floods and landslides) and (ii) ecological restoration, rehabilitation or nature-based reintroduction of species on degraded land, river embankments and disturbed environments. Project success requires both of these objectives to be reconciled. the natural hazard control with the ecological restoration. 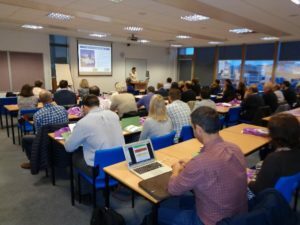 Glasgow Caledonian University (GCU) incollaboration with the European Federation of Soiland Water Bioengineering (EFIB) and support from the ECOMED Erasmus+project, organise the International Symposiumon Soil-and Water-Bioengineering in a Changing Climate, held on the 7th and 8th of September 2017. The aim of the symposium is to present and discussthepossibilities offered by the technical discipline of Soil-andWater-Bioengineering to the ecological, economic, and societal challenges faced within a changing climate. 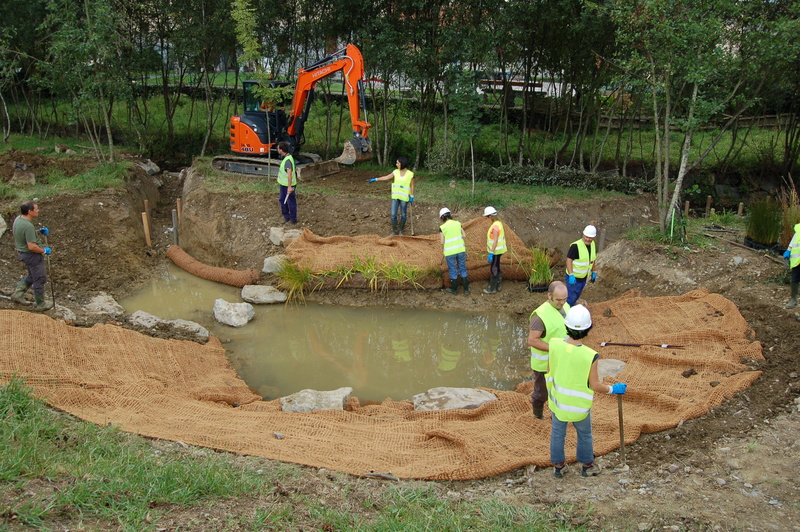 As a society are experiencing a period of uncertainty, in which we perceive that the solutions could come from finding a balance within our environment based on the sustainable management of our ecosystems, the restoration of their functionality and services, and the use of nature-based construction systems such as soil-andwater-bioengineering techniques. 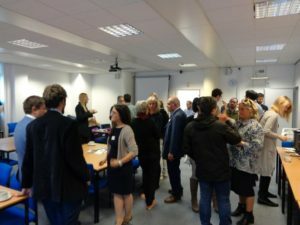 It is envisaged that UK practitioners and researchers will foster a deeper and more meaningful relationship with their international counterparts at the symposium by sharing experiences around common areas of interest. According to the E.F.I.B.,soil- and water- bioengineering is a discipline that combines technology and biology, making use of plants and plant communities as building materials which can protect the soil and infrastructure as well as contributing to landscape development. 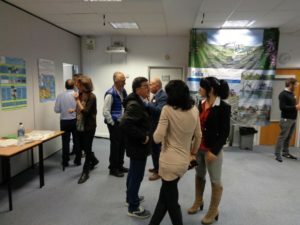 It includes technical(protection and stabilisation), ecological (ecosystem restoration), landscape (improvement of landscape integration),and a consideration of socio-economic (efficiency and employability) aspects. 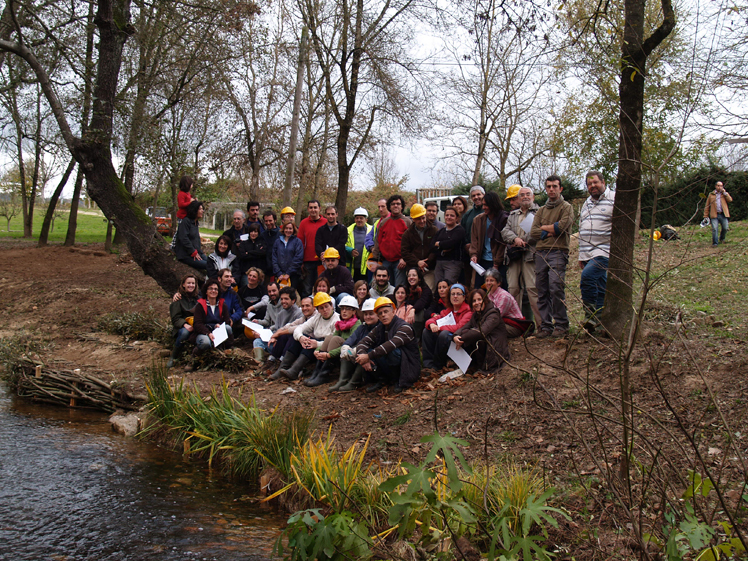 It is recognised as an emerging Engineering discipline,because of the application of scientific and practical knowledge in order to design and build structures, processes and solutions to control Soil and Water erosion and stability, but is also a Biological discipline because of the critical role of native plants and its bio-technical properties in these solutions. GCU and the membership of EFIB are currently collaboratingwithintheErasmus+projectECOMED (www.ecomedbio.eu) and this willbe promoted and presentedatthissymposium. 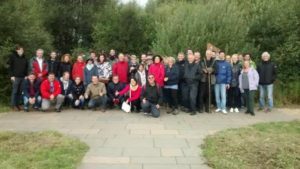 Attheendofthissymposium, the attendees will be involved in the formal process of founding the UK AssociationforSoil- andWater- bioengineering. Soil and Water Bioengineering techniques, materials, modelling, and design. All accepted papers will be published in Procedia Environmental Science, Engineering and Management (ISSN: 2392 – 9537). STANDARS FOR COMMUNICATIONS AND POSTERS SOIL AND WATER BIOENGINEERING.